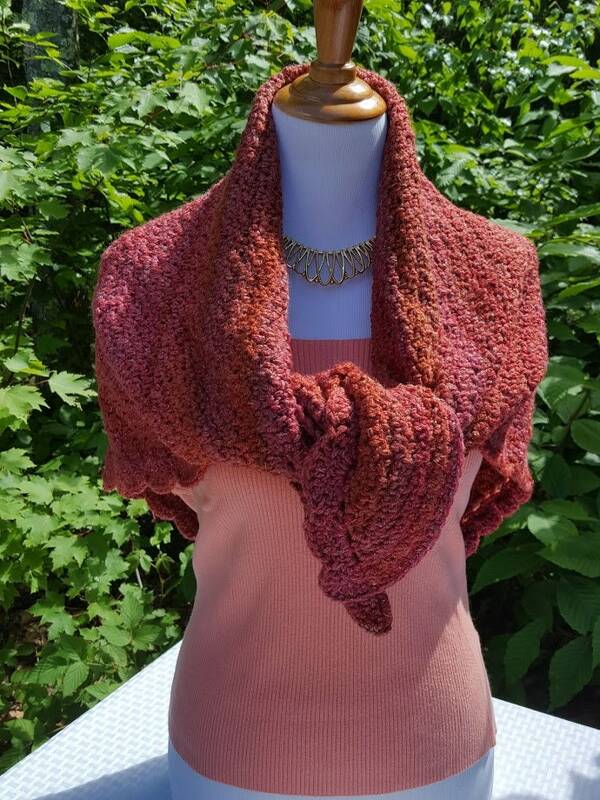 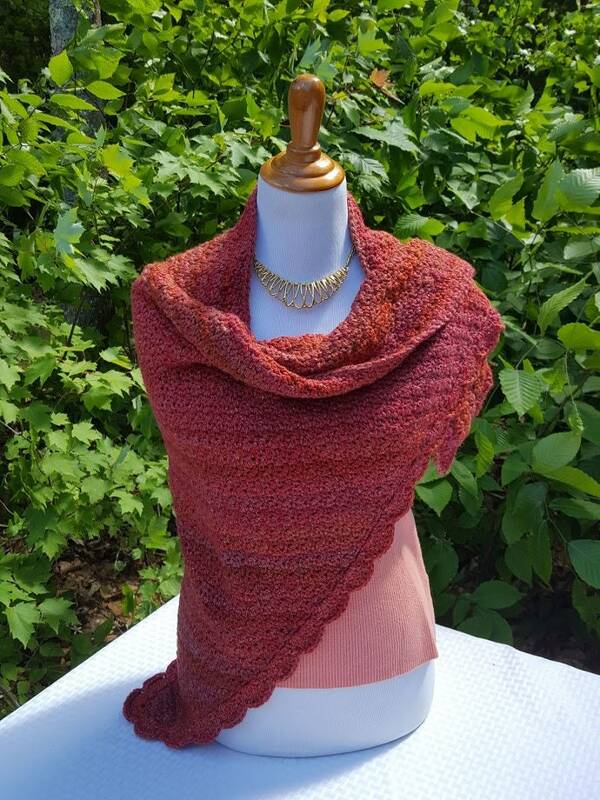 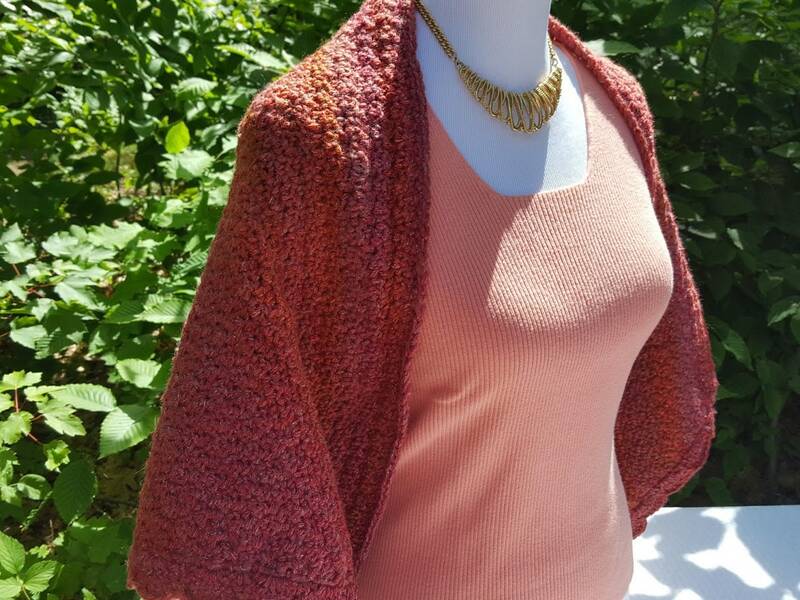 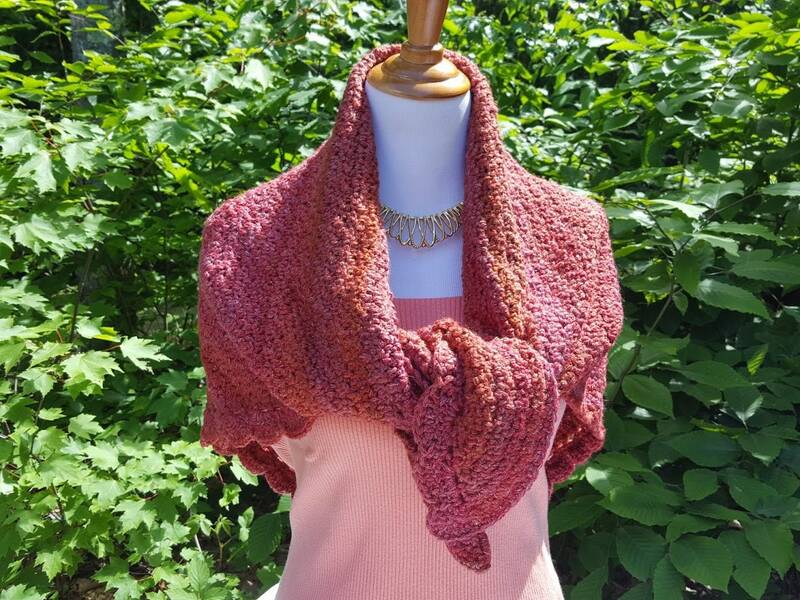 Wrap yourself in luxury with this coppery colored crocheted shawl made in ever so soft acrylic yarn. 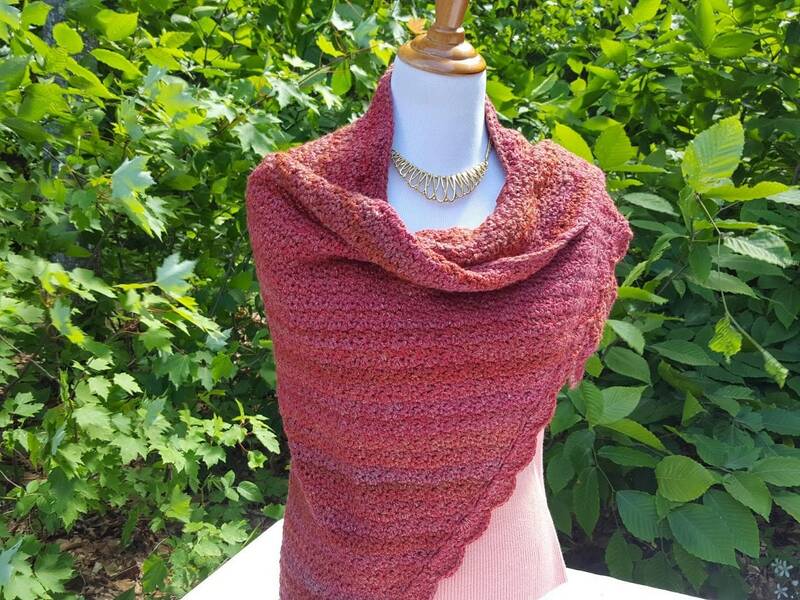 You'll love the delicate feel of this shawl and it's lovely scalloped edging with gold sparkling thread throughout making it shimmer in the light. 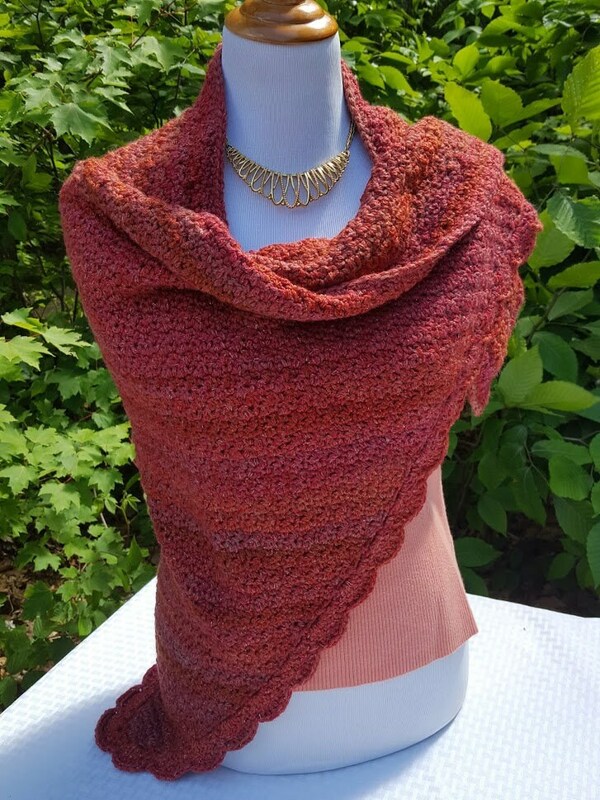 This handmade shawl is perfect for a bit of warmth and style over a white T-shirt and jeans, or stylish enough to add a beautiful touch for attending a wedding.